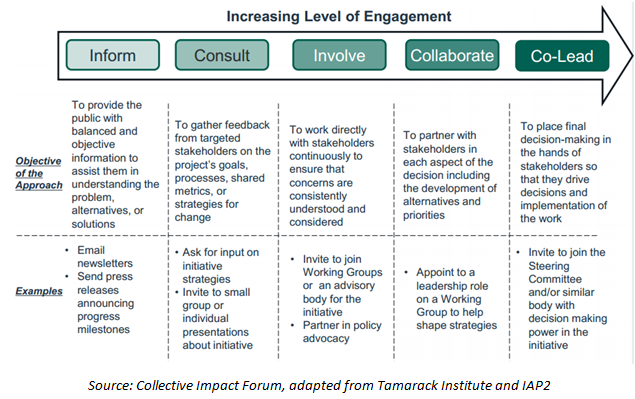 In the fifth week of our e-course on community engagement in collective impact, we look at how community engagement in collective impact can help advance racial equity. 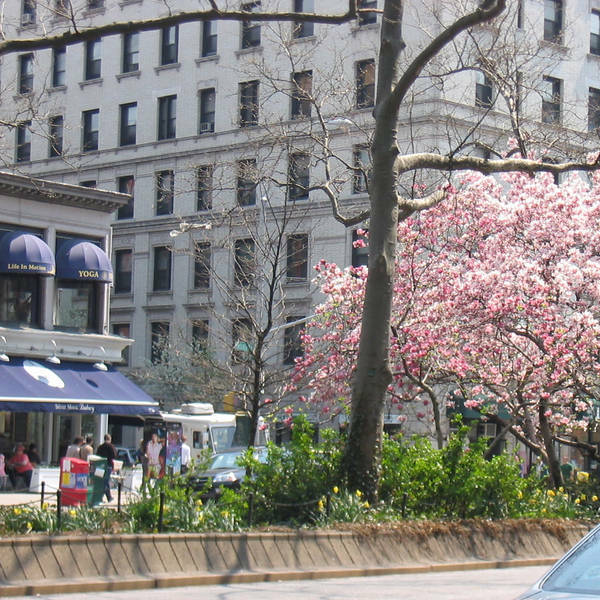 Over the past several weeks, Living Cities has been exploring the question of why and how to work with communities in collective impact through our free e-course. We’ve discussed how engaging grassroots community members to shape and guide collective impact initiatives can mitigate the potential disconnects grasstops leaders face in understanding community needs, and covered several different considerations to take into account when developing specific engagement strategies. For this final week, we’re reflecting on the role of community engagement in promoting racial equity and eliminating disparities through collective impact efforts. While we’re very much still in the exploratory phase of these questions, we do have some early thoughts. First, use disaggregated data by race to build the needed feedback loops for your collective impact work.This is a critical foundation for advancing equity. The nuanced understanding of racial disparities that disaggregated data offers lays the groundwork for efforts to promote racial equity. Simply put - without knowing how specific racial or ethnic groups are doing, you won’t be able to design and implement the appropriate strategies needed to address the particular needs of these groups. For example: if your collective impact effort is aligned around a shared result of reducing unemployment among working age adults by 50%, you will have different strategies to serve a group that has a 9% unemployment rate than for a group with a 19% unemployment rate. With data-backed insights into the particular outcomes of different racial groups, you can design and test strategies that are more responsive to their historical and contemporary contexts. In Portland, the All Hands Raised cradle-to-career partnership identified the achievement gap between white students and students of color as priority of their cradle to career effort. By recognizing the value of disaggregated data, district leaders participating in the effort were able to adopt policies to embed analysis of these disparities in standard practice. The value of data comes from how it’s used and interpreted. And, as we’ve discussed in past weeks of this e-course, community members have the critical context expertise that can lead to meaningful insights and provide critical input into the design of social change efforts. This is all the more true when attempting to understand racial and ethnic disparities. Indeed, you need to engage communities of color directly to unearth the root causes of inequalities and source potential solutions to authentically unpack the why behind disparities revealed by disaggregated data. One method we’ve seen for navigating productive, action-oriented discussions around race is the Head, Heart and Hands (HHH) framework, which emphasizes developing an understanding of racial inequality using both logic and theory (the head) as well as the feelings and emotions from personal experiences (the heart) before moving to action by identifying solutions (the hands). 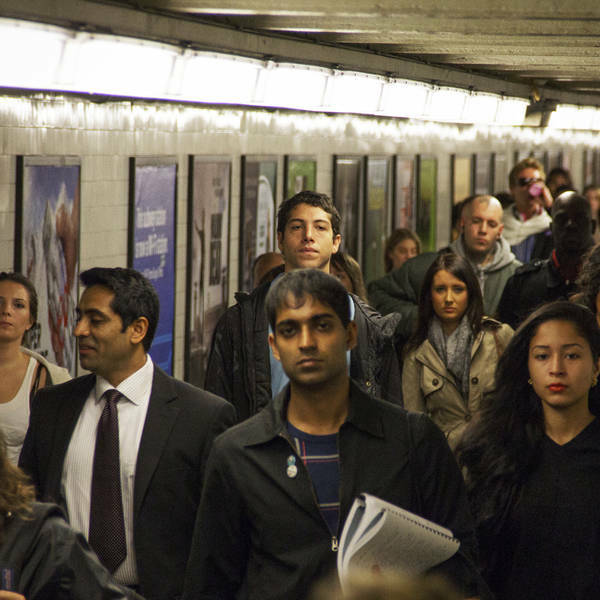 While disaggregated data provides some context for the problem to be solved, it is only by listening to the narratives and experiences of people of color that data can be accurately interpreted. Both the head and heart are needed to understand the structural causes of racial inequality. Albuquerque’s My Brothers Keeper efforts recently applied this framework to hear directly from young men of color about their suggestions for improving the cradle to career pipeline. Beyond engaging communities of color to help interpret data - and as we’ve emphasized in past weeks - collective impact initiatives need to work deeply with community members in order to productively bridge local content and context expertise, and design culturally nuanced and appropriate strategies. As a starting point, engaging with community members of color is critical to ensure that social change efforts are sensitive to the different lived experiences and historical contexts of people of color in the U.S. In collective impact initiatives that target racially and ethnically diverse communities, community members of color need to be “at the table” in a literal sense - that is, as a part of the accountability and governance structures that define how the cross sector partnership operates. Referring back to the IAP2 spectrum, community members of color need to be engaged at least at the involve, collaborate or co-lead levels in order to truly influence how collective impact efforts promote equity. That said, it’s not enough to give communities of color an equal opportunity to engage in your collective impact effort. 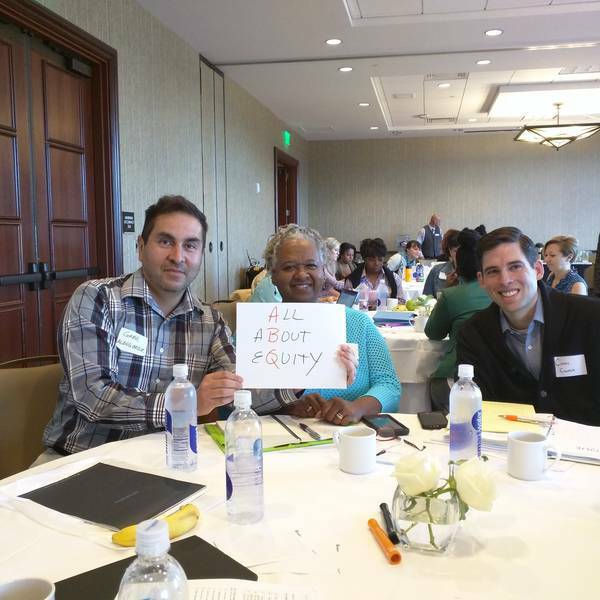 To explicitly promote equity, we need to actively meet communities where they are and create targeted opportunities around the unique needs of those historically disengaged from civic decision-making. 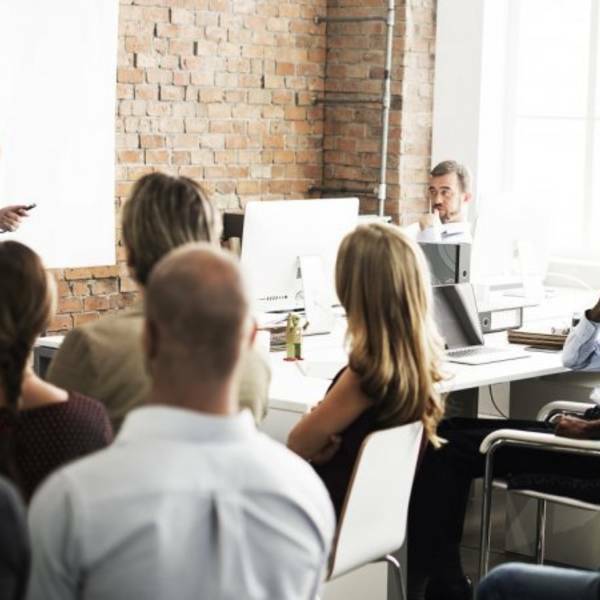 For example, equitably partnering with community members could include offering two-way translation services to all stakeholders when working with non-English speakers. It could also include providing explicit training to community members of color to occupy more formal positions of leadership locally. For more approaches on how to amplify the voice of community, see the resources we identified in Week 2 of this course. Truly advancing racial equity is complex and never ending work. Disaggregating data by race, engaging community members to reveal disparities, and equitably engaging with communities of color in your collective impact effort are not together silver bullets for solving racial inequality. However they are still important steps towards achieving dramatically better results for all low-income people. To explore this intersection of racial equity and community engagement in collective impact more deeply, we are hosting a webinar on April 30th at 2pm EST. Join this webinar to hear directly from practitioners across the country who are exploring these issues in their respective work. If you have specific questions about the intersection of racial equity and community engagement in collective impact that you would like this webinar to address, please leave them in the comments below or submit them directly via email. To discuss community engagement in collective impact, join our final Twitter “study hall” on April 17th, at 1pm ET to share your insights and ask questions that can inform the April 30th webinar. We will be joined by Richard Crews from Thriving Together. Use the hashtag #CEinCI to join in. 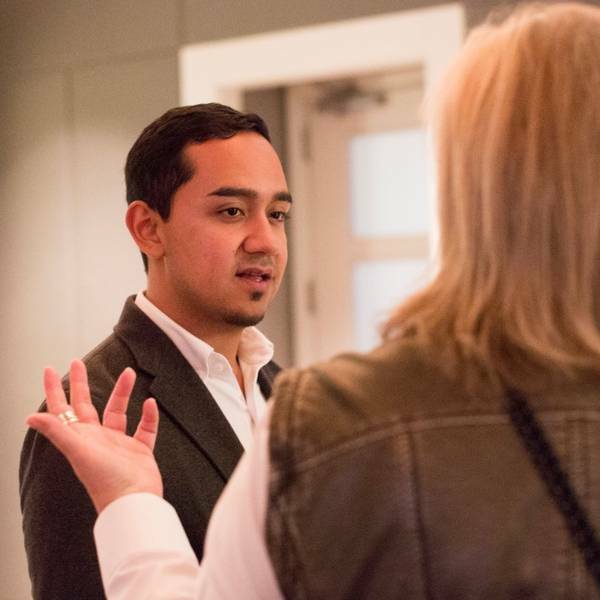 Juan Sebastian is a Graduate Student Researcher at Government Alliance on Race and Equity. He formerly led the field building and knowledge work for Collective Impact and supports meaning making across the portfolio. To equitably improve employment outcomes in a given place, all stakeholders at the table must change how they see the problem and their role in providing solutions, starting with three mindset shifts. 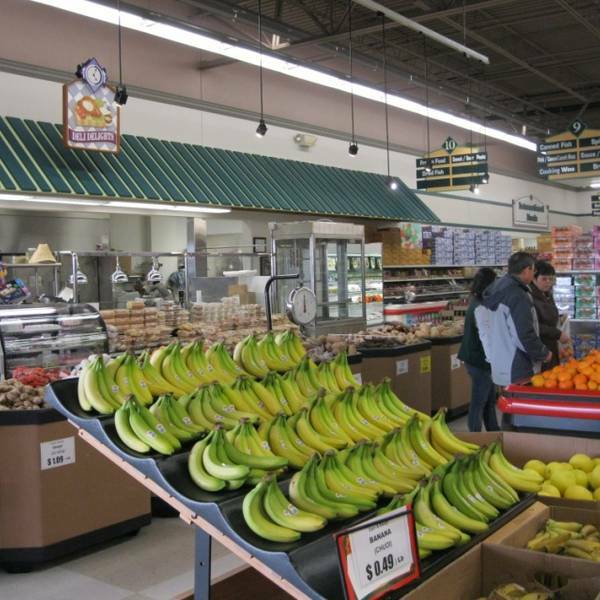 In 2012, the former Green Economy Working Group made a set of grants in the healthy food systems field, including support for a pilot grocery store - which opens today! Our weekly round-up of articles and information highlight issues of equity, community engagement, big data and cross-sector collaboration.